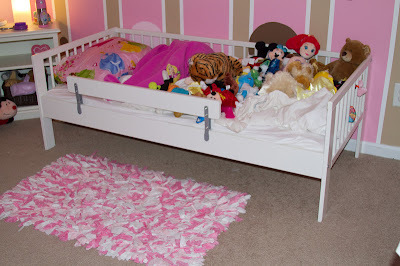 Our little girl is growing up and needs a bigger bed so we decided to give her a room makeover! 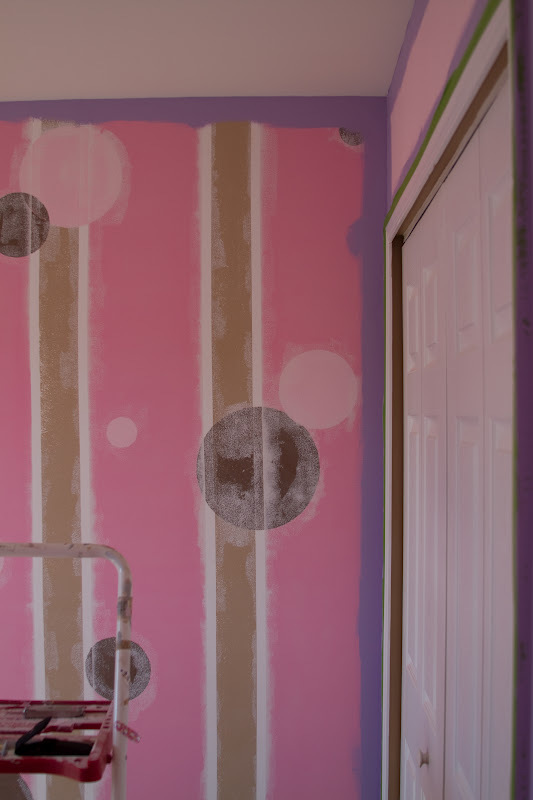 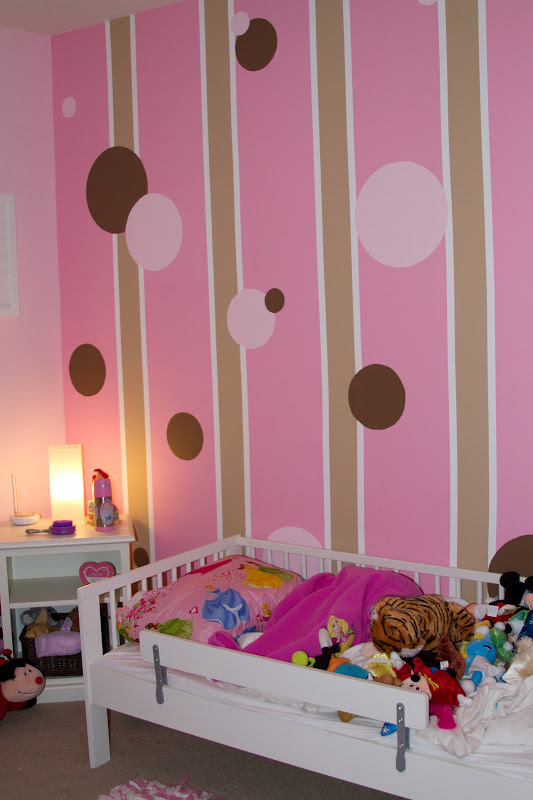 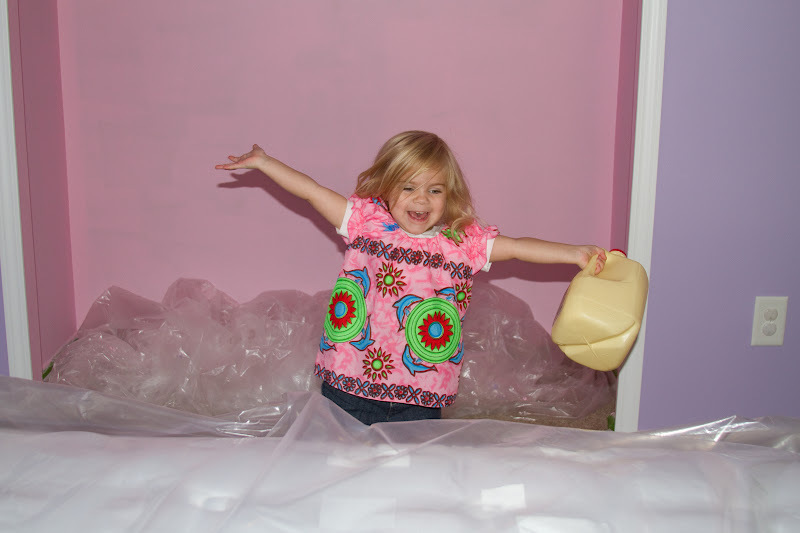 She wanted a Tangled room, which meant we had to paint over the her stripes and circles! 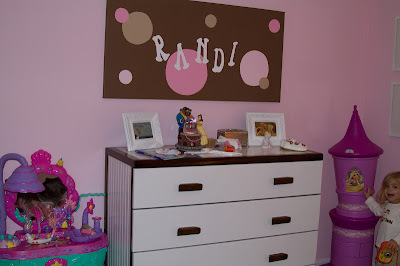 I was a little sad that she didn't want her baby room anymore, but its her room so she can decorate it anyway she wants. 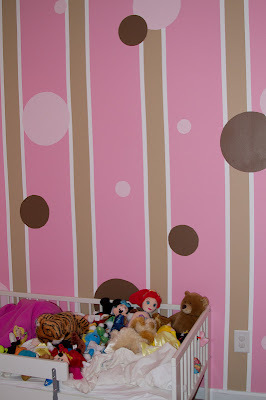 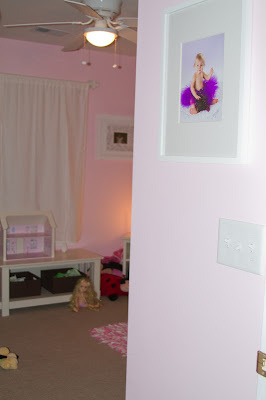 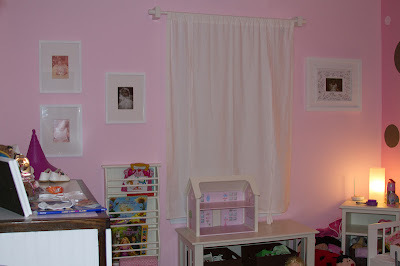 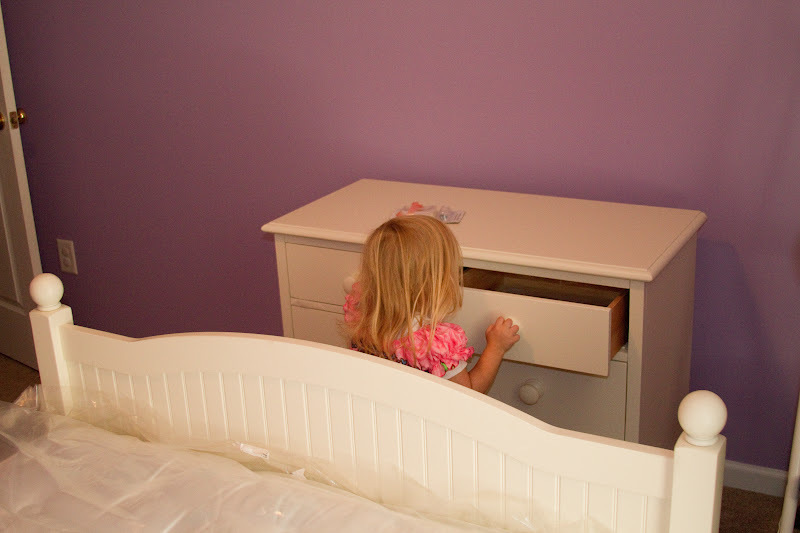 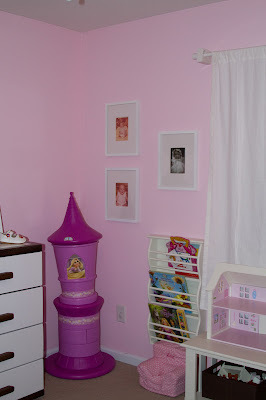 Before we started, we took one last set of pictures of her baby room! 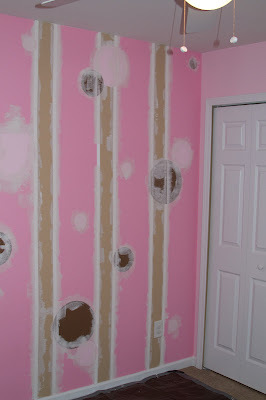 First thing Dada had to do was sand the wall with the stripes and circles. This was a hard process! 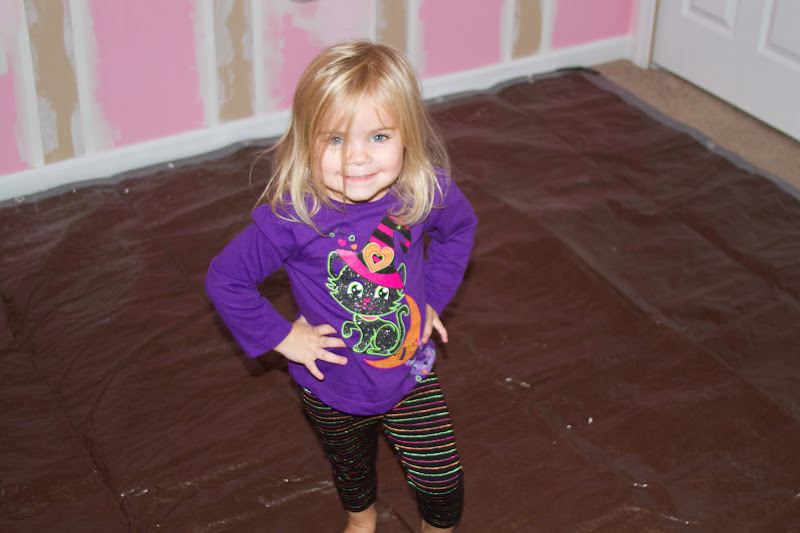 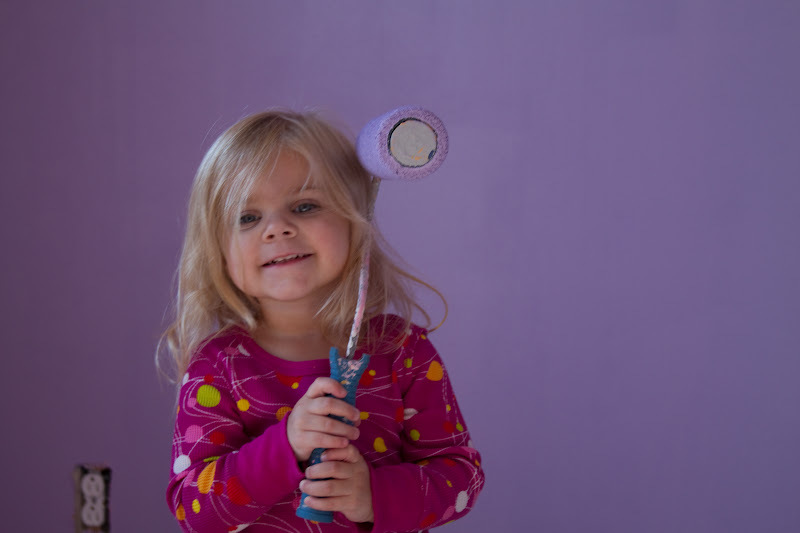 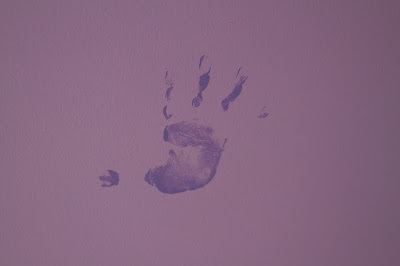 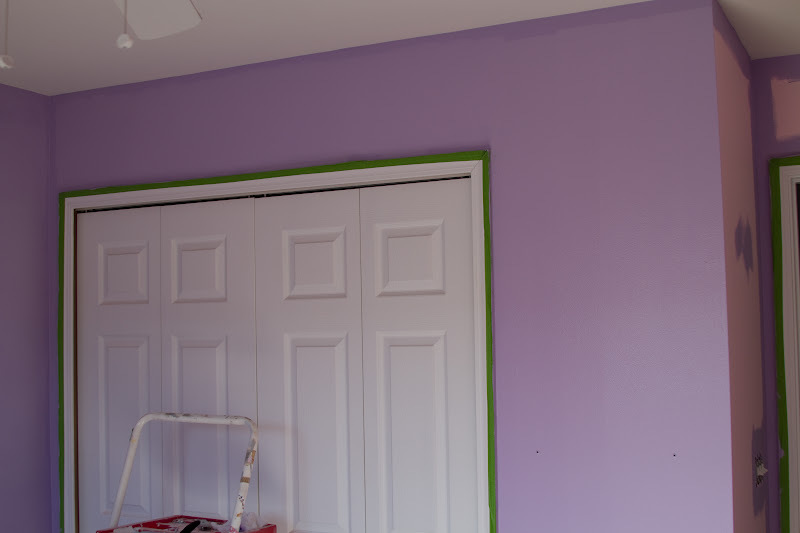 Then we painted the walls Tangled purple! 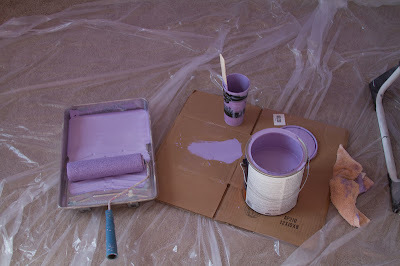 After the walls were purple we had Randi's new furniture delivered. 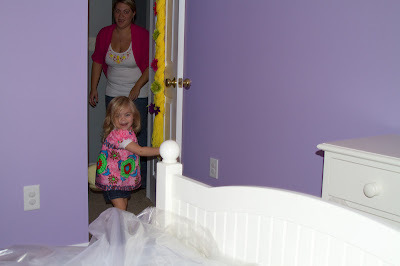 To surprise her, my sister watched her and when she came home we were able to show her her room! 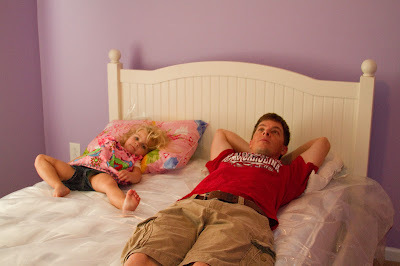 All ready for her 1st night in her new big girl bedroom!